FormulaOne High Performance Auto Tint by Llumar is a dynamic, growing brand of professionally installed, premium automotive window film and paint protection film available through an elite dealer base in the United States and Canada. Specially designed to give you the highest heat and glare reduction on the market, our automotive window film is simply the best in the industry. For the great appearance you want and the value you expect, check out The Classic Series. It’s soft charcoal look, available in a variety of shades, enhances privacy and adds style to any vehicle. Designed with the latest in dyed film technology and backed by a “No Color Change” warranty, this film provides best in class and longest lasting color and appearance of any dyed film. 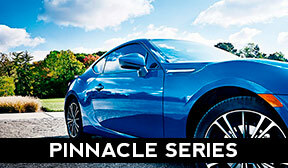 The name says it all… The Pinnacle® Window Film Series is the most state-of-the-art automotive tint available today. Proprietary non-metallized, nonconductive nano-ceramic technology maximizes heat and ultraviolet rejection, keeping you and your vehicle cool and helping to protect from the damaging effects of the sun. The most high-tech accessory on your car has no moving parts. 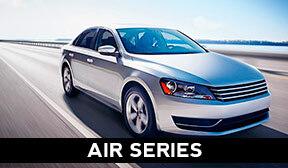 The incredibly advanced AIR Blue film uses nano-ceramic technology to achieve its extraordinary level of protection. This protection has been specially designed with your car’s electronic accessories in mind: Air Blue film does not interfere with cell phones, radios, radar detectors, or global positioning systems. 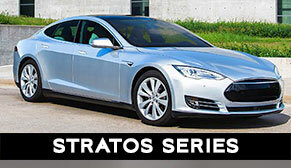 FormulaOne Stratos auto tint with proprietary Hybrid-MatrixTM technology utilizes the most advanced non-metal technology for maximum heat rejection with no signal interference with your electronic devices like your mobile phone, GPS, keyless entry, satellite radio or tablets. You can stay cool and comfortable commuting to work or taking a weekend road trip. LLumar automotive tint films are engineered to enhance your vehicle’s appearance, provide the performance you demand, and protect your investment. Known for their quality, color stability, and patented scratch-resistant coating, LLumar films are durable and virtually maintenance free. Uncomfortable heat, distracting glare, and faded interiors can ruin any road trip. LLumar solar control film will keep your car or truck cool and comfortable. Look cool and feel even cooler with custom tinted windows featuring superior-quality LLumar film. Without it, the climate in Reno Nv. can be brutal on your vehicle. Your car, RV or truck interior will benefit in the long run. LLumar safety and security film holds shattered glass in place – reducing the likelihood of personal injury in an accident and deterring smash and grab theft. Car window tinting can truly be a lifesaver. At highway speeds, any small flying object can easily become a permanent part of your car’s finish. Preserve your vehicle’s good looks without changing its appearance. Call or come in to Trimline of Reno NV. today, and let us help you find the perfect solution for protecting yourself and your vehicle from the damage of the sun’s rays. Auto window tint protects against UV damage. Llumar helps protect the interior of your car. Trimline of Reno is proud to be an authorized dealer. The ability to be precise is the ability to excel. FormulaOne films are manufactured and engineered with the utmost precision by the world’s leader in applied films. Every product is backed with a lifetime manufacturer’s warranty. The quality and consistency of our films are matched only by the select few professionals who qualify to be licensed FormulaOne dealer and installers. At Trimline of Reno, we are proud to be among the select few dealers in Northern Nevada to offer this outstanding product.